1186 Oak Creek Court is a 3,186 sq. ft. home well cared for by the original owners and is located at the end of the Oak Creek Court cul-de-sac adjacent to the Eagles Point Community Pond. Enjoy your morning coffee with VIEWS OF WILDLIFE at the pond: turtles, egrets, ibis, red hawks & even peacocks. 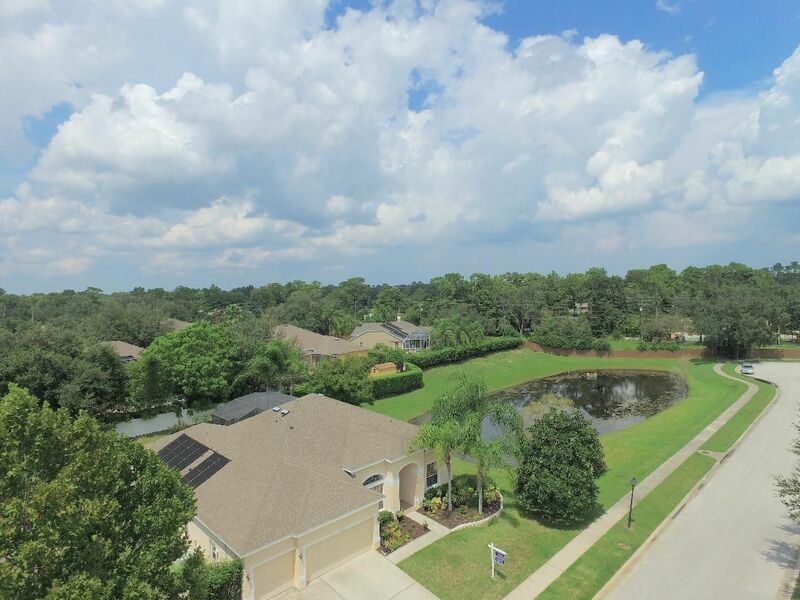 This beauty features relaxing views of the sun drenched screened patio for outdoor parties at the SOLAR HEATED Pool overlooking the serene pond. Upon entering, you’ll find the FRENCH DOORS welcoming you to the Den/ Bedroom #5 lined w/ WOOD FLOORS. Spacious Extended Master Suite boasts tray ceiling, TWO WALK-IN CLOSETS, dual marbled sink vanities, walk-in shower & jetted tub. Renovated Kitchen: 42” MAPLE CABS, NOIR QUARTZ COUNTERS & *NEW* STAINLESS STEEL Appliances. Breakfast nook overlooks the patio, pool & pond views while you can enjoy additional seating at the Breakfast Bar. Guest bedroom off the family room features direct access to pool bath. Secondary bedrooms & bathroom down the hall behind the kitchen. Upstairs is the expansive BONUS ROOM featuring it’s very own full bathroom with HUGE STORAGE CLOSET. INSIDE: multi-zoned A/C, blinds, ceiling fans, water softener, security system & inside utility room with sink. Zoned “A” rated Schools: Rainbow Elementary, Indian Trails Middle & Winter Springs High. 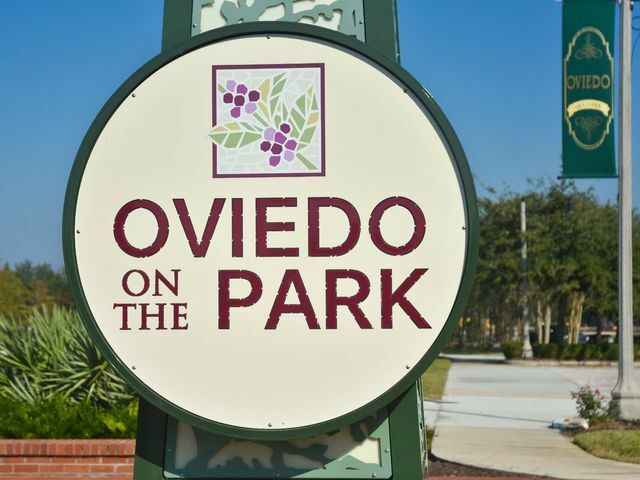 Just minutes to restaurants, grocery stores, Starbucks,YMCA, Oviedo Mall, movies & more! 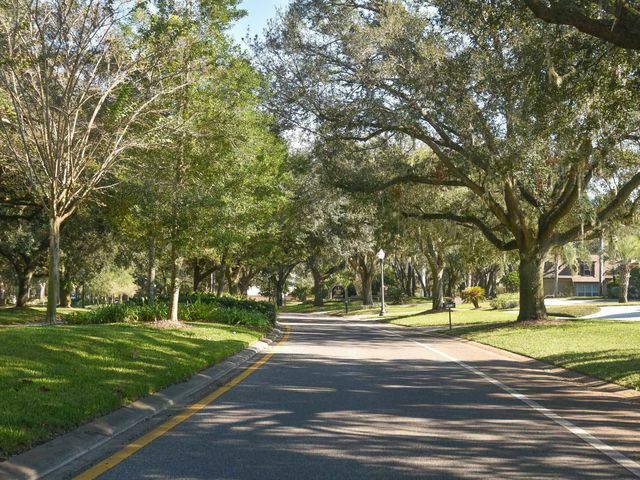 Just a short commute to the 417 Expressway leading to Downtown Orlando, Orlando International Airport or Volusia beaches.